Publius Aelius Hadrianus Augustus was Roman emperor from 117 to 138. His predecessor, Trajan, was a maternal cousin of Hadrian's father. Trajan did not designate an heir officially, but according to his wife Pompeia Plotina, he named Hadrian emperor immediately before his death. 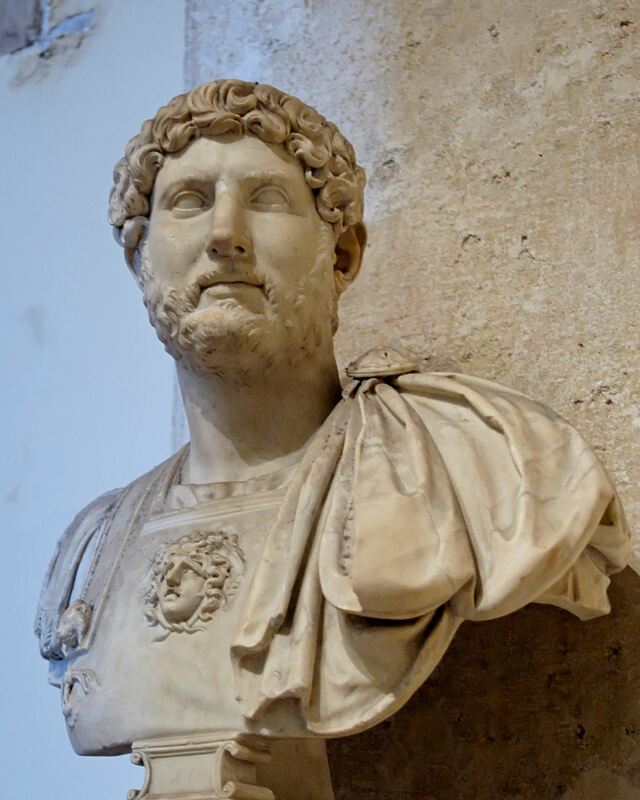 Hadrian is regarded as the third of the Five Good Emperors, and is known for constructing Hadrian's Wall, rebuilding the Pantheon, and constructing the Temple of Venus and Roma. Hadrian died in the year 138 on the 10th of July, in his villa at Baiae at the age of 62. The cause of death is believed to have been heart failure.